Do your holiday book shopping at Amherst Books this Saturday and you'll be helping the library buy books at the same time! 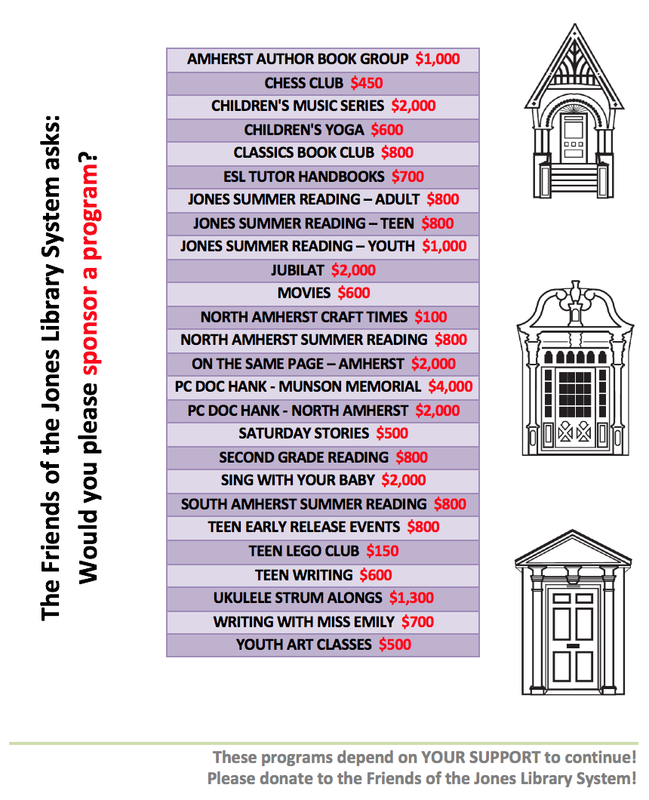 Once again, Amherst Books is donating a portion of their sales for the day to the Friends of the Jones Library! They are located at 8 Main Street. Here's their web site for further information. Thank you, thank you Amherst Books!! Hi Bonnie! um, for those of us who know we can't always rely on the post/reader dates/times on blogs, "this" Saturday means "Saturday December 5th -- right?